On Wednesday 13th of April 2016, IFSA LC UGM did Media Visiting with Mapala Silvagama took place in Sekretariat Bersama Faculty of Forestry Universitas Gadjah Mada, Yogyakarta. Media Visiting is an activity organized by Media Commission of IFSA LC UGM. Media Visiting is one of IFSA LC UGM’s event series IDB 2016: Fight for Biodiversity, which is included a video competition hold by Language Commission and Talkshow hold by Forestry Education Commission. This event held to celebrate International Day for Biological Biodiversity. Mapala Silvagama was chosen as the interviewee at this event because this organization had done many research about existence of biodiversity in Indonesia. Media visiting IFSA LC UGM and Mapala Silvagama have the opportunity to exchange information about biodiversity especially in Indonesia. IFSA LC UGM members were asking some questions and answered enthusiastically by Mapala Silvagama who attended as interviewees in Media Visiting. The discussion was interesting, both of Silvagama and IFSA LC UGM were so excited. Well here is some important point from the discussion! Mapala Silvagama concerns in conservation has 3 pilars: preservation, utilization, and protection, they work for study, dedication, and research in Forestry sector. Yesterday Silvagama explained there are 5 divisions, and all the activity related to biodiversity. One of their activities was “Pendakian Wajib” for new member of Silvagama in Tambora. They had research about distribution of Kalanggo (Duabanga moluccana), Kalanggo found in 1200 mdpl with 3 (three) geographic variations. Then what is Silvagama’s opinion about Biodiversity in Indonesia? They clearly said there are degrading biodiversity in Indonesia. For the example in 2012 they were having research in Baluran, they often met Banteng Jawa (Bos javanicus), but in 2016 they only met Rusa Timor (Cervus timorensis). They mentioned that the main factor is Baluran was changing from eco-tourism to mass-tourism, as there were too much people coming to Baluran. “We got to hear amazing stories about biodiversity from those who are going to the field to do research on biodiversity on a daily basis, more excitingly; those researchers are students, just like us!”–Ariel Adimahavira, President of IFSA LC UGM. 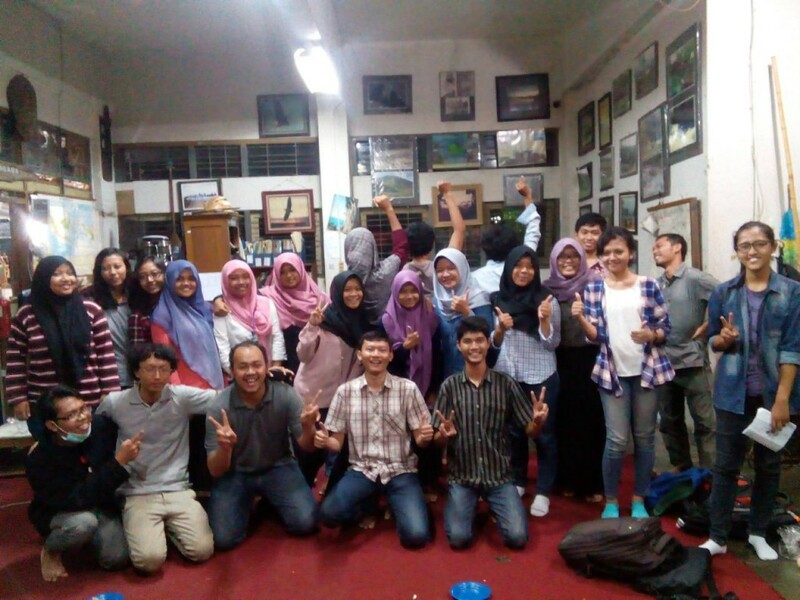 Mapala Silvagama and IFSA LC UGM agree that people can use biodiversity, but they have to use it wisely. Biodiversity now is highly used as travelling or photography spots. They said travelling can be a good way to recognize our surrounding but it also comes along with responsibility to keep it safe. Beside, there are a lot of things youth can do. It doesn’t need to be complex and hard-to-do activities. A small and simple activity such as discussion is a very good start. “A wide-opening-mind discussion with Mapala Silvagama! Saving biodiversity can be done in a very simple way such as holding discussion, conducting a simple research, even as simple as telling your friend about biodiversity potential around you!” –Dini Sabila, Vice President of IFSA LC UGM.